Open files with file extension WMV - WMV player. will play .WMV files right away. that will play almost any file you throw at it. Yes, it is true. Final Media Player is free. No trial period. No subscriptions. No payments. Final Media Player is a media player for Windows that supports more than 80 types of audio and video files. Everything needed is included in the setup program. No obscure codecs needed. Just install and you are ready to play your file. Get Final Media Player if you are tired of messing with codecs or tired of seeing the dreaded "Windows can't open this file" error message. 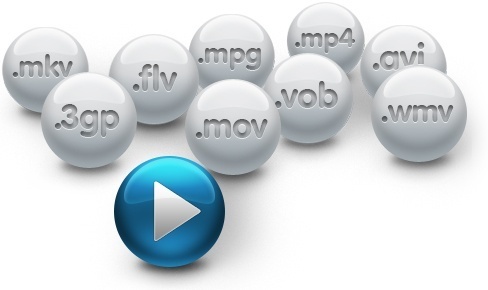 WMV files are video files in the Windows Media Video file format, which was originally designed by Microsoft in 1999. Final Media Player will allow you to play them on your Windows PC. Most other video players require you to install third party software ("codecs") that enable support for the particular type of file you wish to play. Not so with Final Media Player - it includes everything you need. Simply download and run the installer and you will be able to play your video and audio files right away. Final Media Player enables you to play 40+ types of video files like WMV, 3GP, 4XM, ANM, ASF, AVI, BIK, CDG, CDXL, CPK, DIVX, FLV, GXF, LVF, LXF, M4V, MKV, MOV, MP4, MPEG, MPG, MV, MVI, MXF, NSV, NUT, NUV, OGM, OGV, PMP, RMVB, ROQ, RPL, SMK, SWF, TXD, VMD, VOB, WMV, XMV, XVID and YOP. Final Media Player is free software. Works on Windows XP, Vista, 7, 8 and 8.1, both 32-bit and 64-bit. Copyright © 2010-2019 Bitberry Software. All rights reserved.